I’ve had my work selected for the 2018 Trinity Buoy Wharf Drawing Prize! The exhibition opens in September in London and then tours to various galleries across the country. 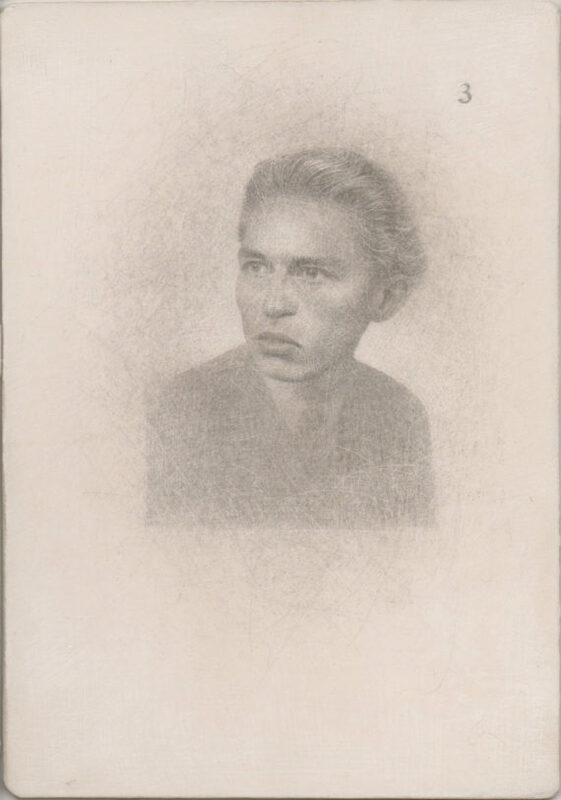 This piece is one of a series of metalpoint drawings based on photographs of people taken in Germany in the 1930s and 1940s. 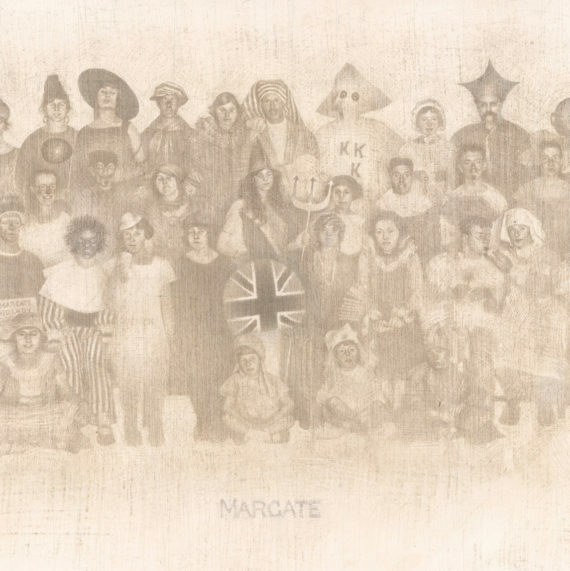 These photographs were found, separately and at different times, in a Margate junk shop. This woman’s image was torn in two and then very carefully glued back together again.